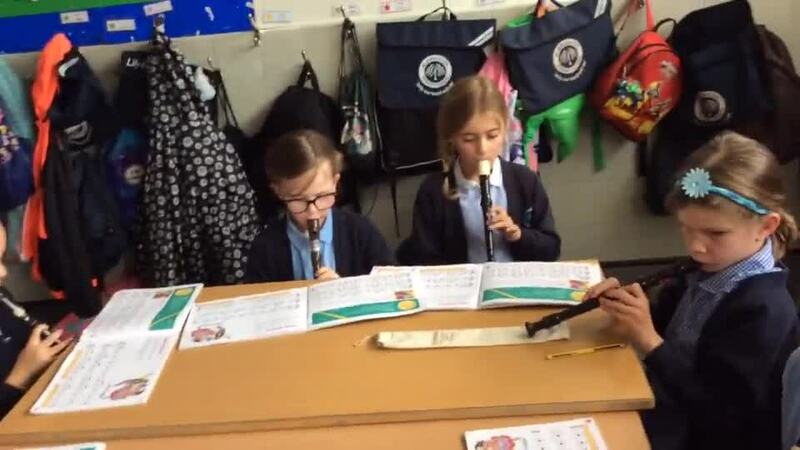 Welcome to Mrs Ord's recorder club! We are a group of year 2 children and meet every Friday lunchtime. We are trying really hard to read music so that we can play lots of our favourite tunes. Each week we learn new notes and have fun playing music together. 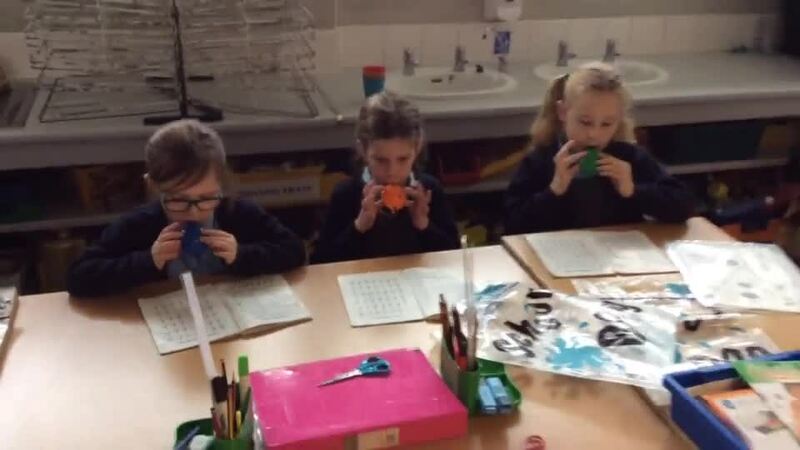 Listen to us play Joe,Joe on the recorder and Twinkle,Twinkle on the ocarina. We're fabulous! Use your index (pointy finger) and middle finger from each hand to hold the ocarina. Your thumbs will be holding it secure at the back. Point the recorder downwards. Remember it's not a trumpet!